With this powerful addition, Kirkwood will continue to serve A Marcus Groups clients’ needs for luxury creative marketing and design, for invitations, packaging, corporate branding, ecommerce and point of sale and animation, making these offerings available to its existing customer base. Kirkwood Chairman and CEO Bob Coppinger stated, “I’m excited to bring these diverse and highly specialized capabilities to our customer base”. Known throughout the country for delivering exceptional quality and rapid turnaround times to a broad and diversified customer base, Kirkwood provides its customers with offerings that include offset, digital, digital embellishments, wide-format, grand-format, database management, mailing services, fulfillment and pick ‘n pack services – all enhanced by Kirkwood’s recent technology investments and commitment to long-term excellence. The A Marcus group will become a specialty division of Kirkwood, continuing to do business under the banner A Marcus Group @ Kirkwood. A Marcus group is a Boutique design/printer specializing in luxury marketing including invitations, packaging, corporate branding, point-of-sale and advertising. Creator of award-winning special events materials. The date we at Kirkwood have feared, yet anticipated, for years is finally upon us: Bob Riseman is retiring. Bob’s passion to deliver for his customers is the legacy he leaves our team, who embrace his dedicated approach that grew not only his business but our deep community of devoted clients. Bob’s groundbreaking work in identifying what the customer needed before the customer knew they needed it has had a significant effect on the success of the team he was a part of. “There were so many moving parts in the printing business, I was able to participate in the creative process and learn how to shepherd projects through. I really enjoyed teaching and mentoring the business to graphic designers,” said Riseman. When Bob joined Kirkwood in 2005, he had already had an extensive, 29 year career in the printing business. Riseman began his career selling office supplies for Monroe Stationers & Printers, later Moore where Bob sold business forms. In the 1980s he moved to Adco and began to sell commercial printing. During these early years, Bob worked for many companies, including Congraf, Nimrod, and Universal. It was during this time that he fell in love with the business, just as it was rapidly evolving. “So many of the companies I worked for were gobbled up during the late 80s and early 90s by acquisition. I was happy to land at Kirkwood, knowing these guys would never go down that road,” said Riseman. ​Bob's attention to detail, while keeping the broader picture in mind, has been invaluable to Kirkwood. His willingness to put in extra time and effort to help us meet deadlines has demonstrated a commitment to excellence that his loyal customers have come to depend upon. We all owe Bob a debt of gratitude for all the times he helped keep projects on track, on time and within their budget. In addition to his incredible competence and skill, he has been a friend to all with his thoughtfulness, humor and encouragement. Retirement will surely offer many new opportunities, which Bob will embrace wholeheartedly. Bob says he can now stop checking his email at 8:00 pm and exhale, being able to spend time with his wife and two children. Although Bob insists, he will not be putting his feet in the sand – not just yet. Kirkwood Announces Expansion with Purchase of the Scodix Ultra2 Pro Press. Kirkwood announced today the expansion of its digital printing platform with the installation of a Scodix Ultra2 Pro Embellishment Press. In conventional processes, foil stamping and embossing require multiple steps, dies or molds and a separate press pass. The new Scodix press produces these desired effects in-line without time-consuming and expensive tooling and die costs. Scodix Ultra2 Pro Press, with its multi material platform, provides Kirkwood with the largest array of enhancement job capabilities in the print industry today. The possibilities are virtually endless for creative and bottom-line needs. “The nine applications: Scodix Sense, Scodix Spot, Scodix Foil, Scodix Metallic, Scodix VDE/VDP, Scodix Cast&Cure, Scodix Crystal, Scodix Braille and Scodix Glitter, are enhanced capabilities that designers can now offer to their clients. The vast press capabilities and impact of these techniques are a way to add embellishments to a project quickly, at an affordable price” said Bob Coppinger, Chief Executive Officer, Kirkwood. 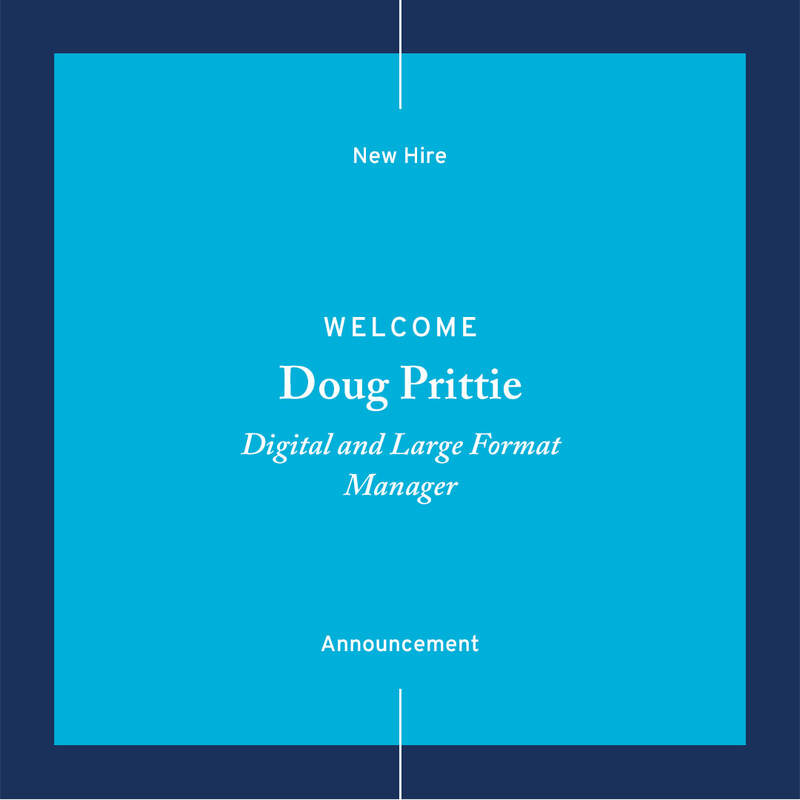 Kirkwood proudly announces the hiring of Doug Prittie as Digital and Large Format Manager. As Digital and Large Format Manager, he will be responsible for technical evolution and continuous process improvement across Digital offerings and teams. “Doug’s extensive experience managing the activities of a quality control group will be critical to the growth of Kirkwood. We are thrilled to have him on board,” stated Bob Coppinger, CEO, Kirkwood. Prior to joining Kirkwood, Doug held positions as VP of Operations, Director of Quality Control, Plant Manager, and Prepress Manager / Lead Computer Graphic Artist for several large companies including Universal Wilde, Cenveo, Color Graphics-Mail Well, WE Andrews-Wallace Corporation, and Munson Advertising and Design. Doug attended El Camino College in California. He is trained in Lean / Six Sigma (Green Belt Certification). Kirkwood proudly announces the hiring of Molly Rosenthal as VP of Marketing and Business Development. 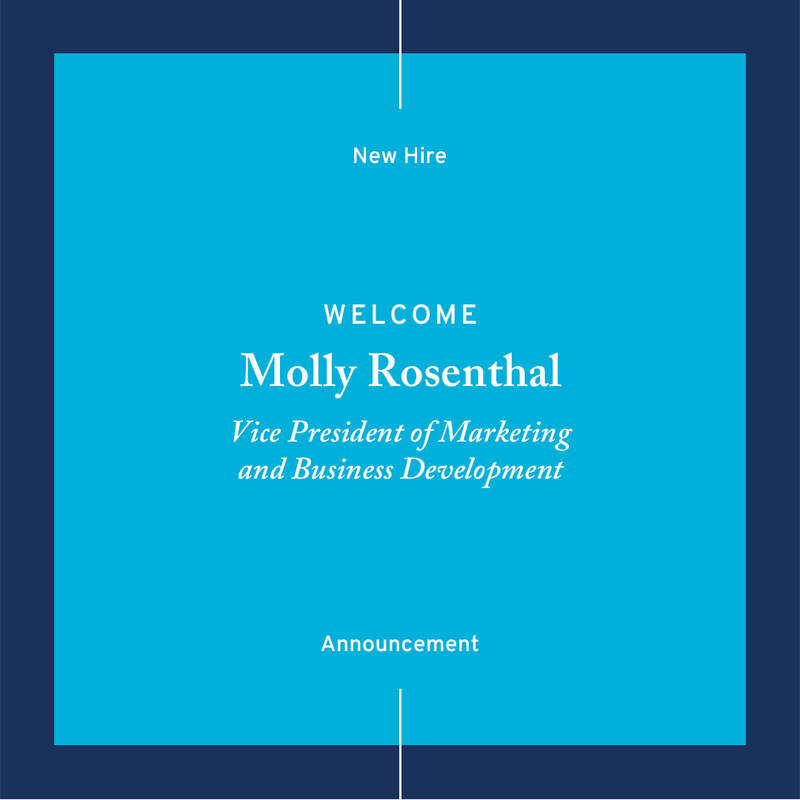 Molly will be responsible for the leadership of marketing, developing new business opportunities and creating customized solutions for customer needs in internal and external capacities. 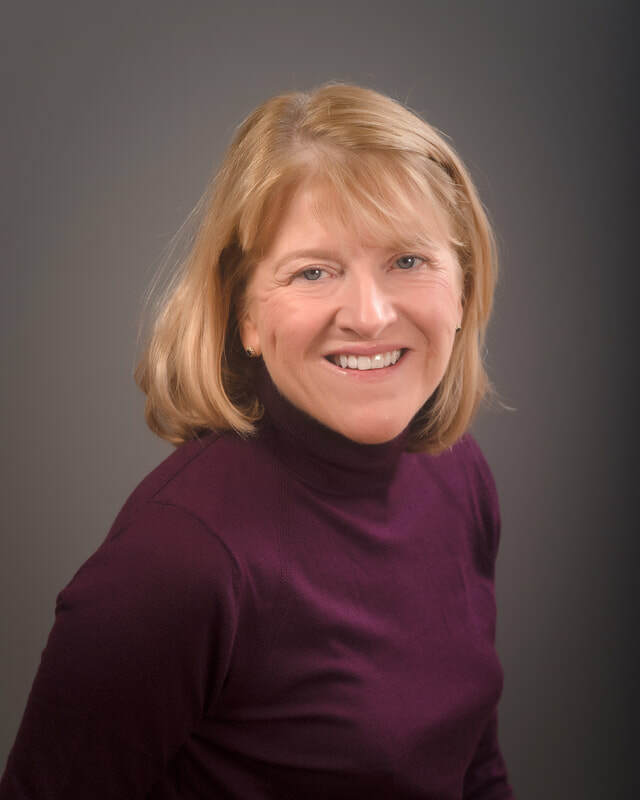 A well-known figure in the graphic arts industry with 25+ years of experience, Molly has held various creative and marketing positions including agencies, printers and a papermill. Recently, Molly had responsibilities for National Accounts at Mohawk Paper, where she was responsible for the growth of the New York City market. “Molly has a proven record of facilitating long term business relationships with both customers and industry luminaries. Her strong winning attitude and personality are assets that will complement and enhance Kirkwood’s ability to meet the needs of our customers as we continue to provide quality, innovative products to the marketplace,” stated Mark Nappa, Chief Sales Officer. Kirkwood Installs Two New Digital HP Presses. The HP Indigo 12,000 Digital Offset Press and HP Latex R2000 Digital Printer are up and running. Kirkwood is proud to announce the expansion of our digital offerings with the addition of two new presses on our floor. The HP Indigo 12,000 Digital Offset Press brings breakthrough printing capabilities that extend unique, high-value opportunities to grow business. The press features the 29-inch format, brilliant full-color output using HP Indigo ElectroInk—delivering crisp line work, attractive images and smooth vignettes. “With the Indigo expansion, we will triple our capacity and output. We invest in the future, and for us, the future involves sustained growth with partners such as HP. The HP technology combined with unique capabilities that reduce paper waste and increase productivity, efficiency and sustainability are unprecedented in digital printing,” comments Nappa. The HP Latex R2000 Wide Format Printer is the solution to quick-turn needs for roll and rigid media. Rigid substrates: paper foamboard, plastic foamboard, PVC foam, plastic corrugated, acrylic, polycarbonate, polystyrene, compressed cardboard, corrugated board, honeycomb board, aluminum composite panel, wood, glass, ceramic; Roll substrates: PVC banner, self-adhesive vinyl, coated paper, polypropylene, polystyrene, polycarbonate, polyester, textile (non-porous), canvas. Water-based inks eliminate exposure to traditional materials with hazard warning labels and high solvent concentrations, simplifying ventilation, storage, and transportation requirements. “Digital applications for wide-format is growing, and designers and buyers need more sophisticated solutions to differentiate themselves and effectively add value to brands,” said Nappa. Kirkwood proudly announces the hire of Janet Kelly as Sales Representative. We are pleased to welcome Janet Kelly to the Kirkwood Sales team. “A seasoned professional with a wealth of knowledge and vast expertise, Janet will be a wonderful addition to the sales team at Kirkwood. Janet will be responsible for growing sales in the Northeast corridor of the US. Her love of the industry coupled with Kirkwood’s capabilities, make her the perfect to addition to the organization,” stated Mark Nappa, Chief Sales Officer. Prior to joining Kirkwood, Janet was a top-producer for Universal Wilde, Westwood, Massachusetts. Janet was an NCAA Collegiate golfer who loves integrating golf with business. Currently, she is a member of the Women’s Golf Association at South Shore Country Club. “I enjoy working directly with designers and production managers at the very beginning of a project—this is where I can add the most value. Suggesting papers, special treatments, appropriate page counts and sizes, along with folding options and mailing requirements are all areas where myself and my team of experts at Kirkwood can assist. I love this business and am thrilled to be calling Kirkwood my new home,” says Janet. 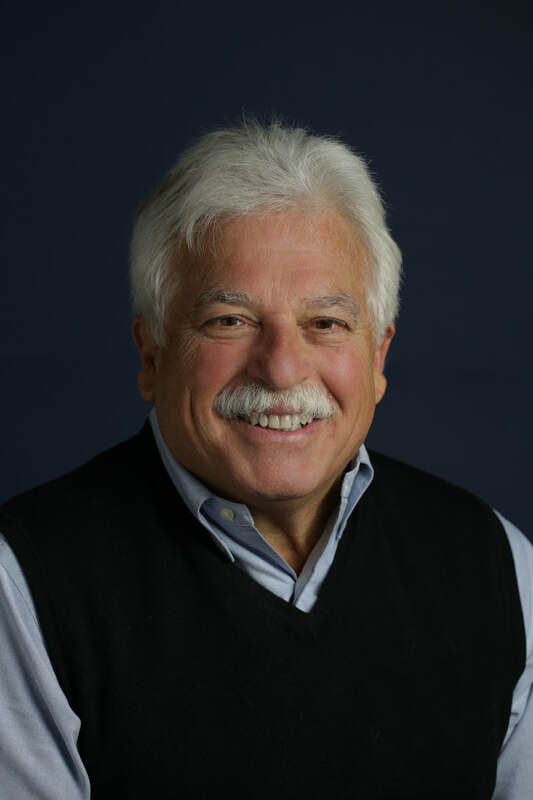 Kirkwood proudly announces the hiring of Noel Tocci as SVP of National Business Development. Kirkwood Adds NEW UV Press to the Lineup. ​Following its continued growth plans, Kirkwood is pleased to announce the addition of a Heidelberg CD102 press with UV print capability. This new press will provide for faster turn times, a wider range of printable substrates, and more options for customers who print on uncoated stocks but desire spot treatments. ​Kirkwood has a long history of innovation and this additional capability expands the Kirkwood service platform as a logical single source supplier. Kirkwood is pleased to announce the release of the new Mobile app for Winthrop Massachusetts. 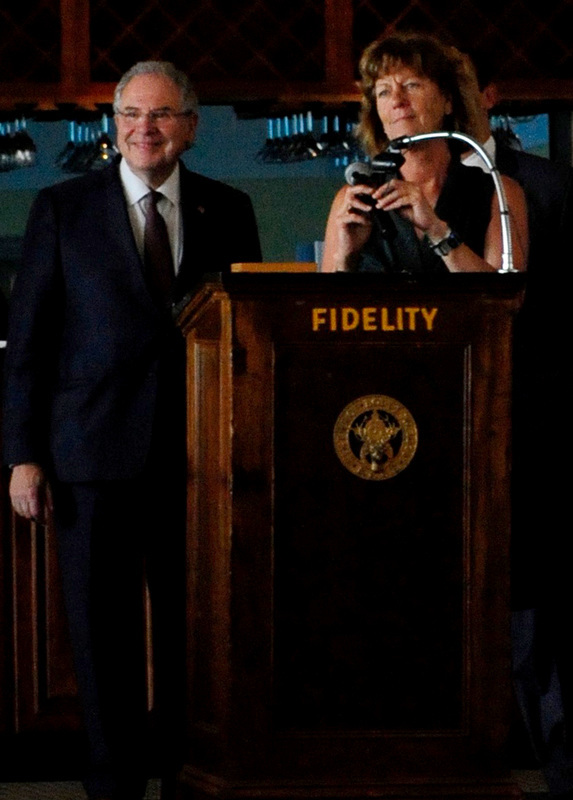 At a luncheon hosted by the Winthrop Chamber of Commerce, on Monday July 18th, Massachusetts Speaker of the House Robert DeLeo announced the launch of the new app to a crowd of over 100 attendees and other public officials that were in attendance. 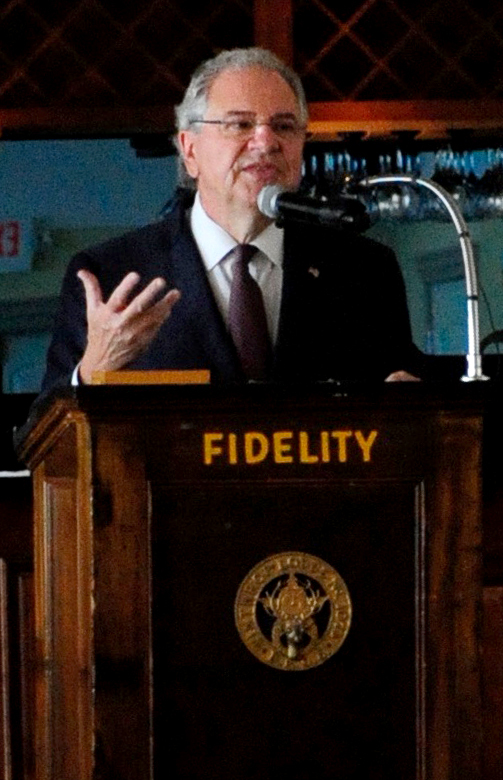 A Winthrop resident himself, DeLeo said that the App would be the first of its kind in Winthrop connecting the community on a larger scale with the Chamber of Commerce, the Office of Economic Development and tourism. The speaker was instrumental in helping the Chamber of Commerce secure some of the initial funding for the App development, through a state sponsored program. Betsy Shane, Executive Director of the Chamber of Commerce was on hand to share her vision for the app with the community at large and to let everyone know that is now available for immediate download at the Apple and Google Stores. Winthrop is a “best kept secret” in Boston. There is plenty of great shopping, lodging and restaurants in this quiet town. With the new App, all of the information a traveler or community resident could need is available on the app with GPS mapping and turn by turn directions from your location to your desired destination. In addition to navigation, the app is filled with deal & coupons from local businesses that are not offered anywhere else. With its beaches, parks, historical attractions, and general history, Winthrop is only minutes from Boston. Winthrop offers spectacular views of the Boston skyline, and amazing sunsets. Kirkwood is a full service graphic communications company that specializes in high end offset, digital, and wide format printing. In the same way that Kirkwood has built a reputation in the printing business, the company with over 200 employees is equally focused on bringing value by building smart communities in the mobile publishing space. 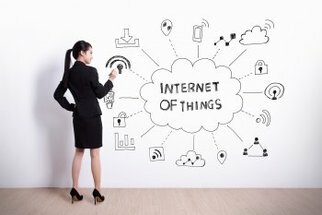 ​The Internet of Things, or IoT, has the potential to affect everything we do in life, from monitoring our heart rate to heating our home. Remember just 20 short years ago, when you were amazed at how information could be delivered to your computer screen? Well, welcome to the modern age, where everything imaginable will be “on demand” and at your fingertips.